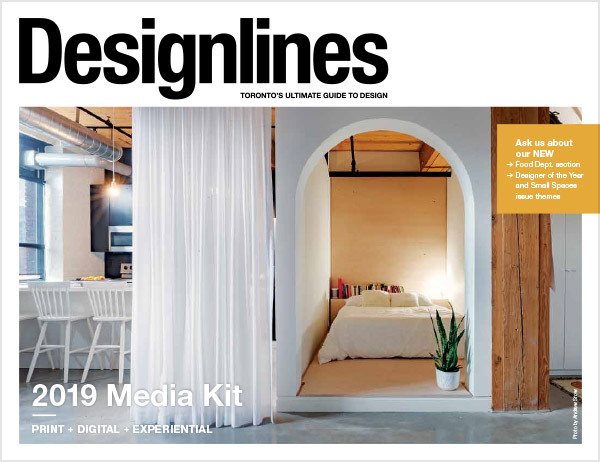 Designlines is Toronto’s ultimate guide to contemporary design and serves as a source of inspiration for the city’s design lovers. 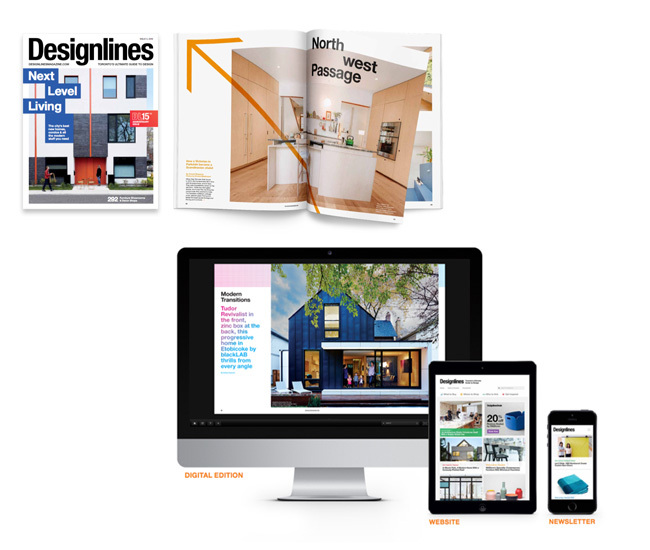 Published four times a year, our print magazine contains our guide to top Toronto design stores, tours of cutting-edge homes, a look at the latest in furniture and decor trends, and profiles of local designers and creative talents. We also engage with readers online through our website, designlinesmagazine.com, and through our lively social media channels. Designlines targets style-conscious urban consumers in the Greater Toronto Area – trendsetters with an appreciation for high-quality contemporary design. With each issue, 65,000 copies are distributed to select Globe and Mail and Toronto Star subscribers, as well as notable showrooms, galleries and boutiques. The magazine is also available at the city’s most important design shows and events, and on newsstands. Our reach extends globally through our website, our Facebook, Twitter and Instagram accounts, and our weekly e-newsletter.